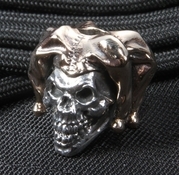 From kings to court jesters, 925 silver and bronze metal skull beads from GD Skulls are available at KnifeArt to accessorize your favorite knife. 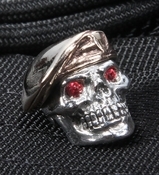 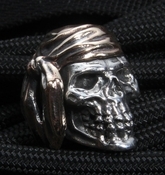 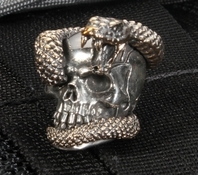 Every GD Skull bead is handmade from the best quality silver and bronze, straight from the mind of Latvian jeweler Genadijs Dmitrijevs, who performs all the work on these exquisite skulls himself, with only occasional assistance from a miniature sculptor on particularly intricate jewelry pieces. 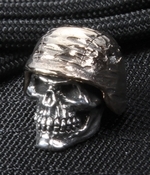 Some of the unique skull designs you will find a perfect for your paracord knife lanyard, paracord bracelets and necklaces. 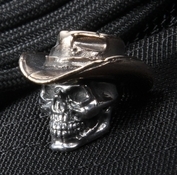 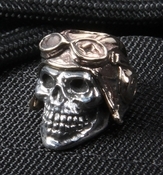 Put a GD Skulls bead on your favorite zipper pull and make the jacket or bag look custom and unique. 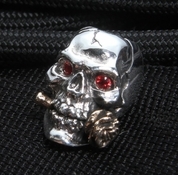 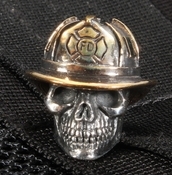 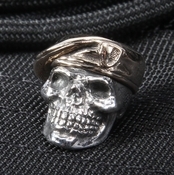 Each of these GD Skulls items are delivered with a Certificate of Authenticity card. 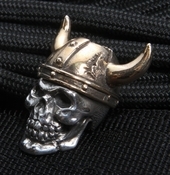 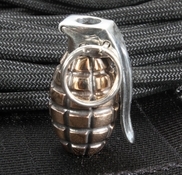 Accessorize in style with GD Skulls knife lanyard beads you can order from KnifeArt.